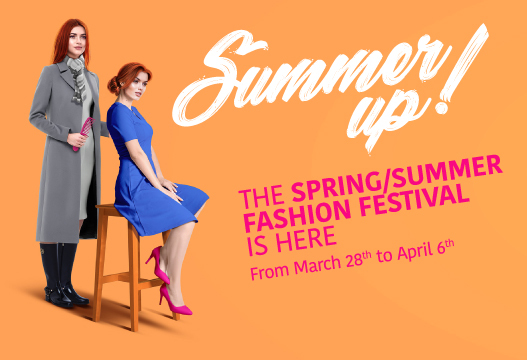 Spring/Summer Fashion 2019 has landed here at Mall of Qatar and to celebrate we will be offering fashion activities from Sunday March 24th – Sunday April 27th 2019. Summer up here at Mall of Qatar! The Ooredoo Stage will play host to 6 days of catwalk shows from 28th to 30th March and 4th to 6th April, featuring the newest collections for men, women and children from over 50 brands across the mall. Our shows are bigger and better than ever and are not to be missed! Head to our styling and make up booth at the Oasis from Sunday March 24th for free advice from our Personal Stylist, Marta Bevin, including a free colour consultation, body shape analysis and trend advice and tips for the new season. Plus, there will be free make up tutorials and demonstrations from a variety of brands.